Global Rugby Network is a ground-breaking free team management software for rugby teams around the world. We caught up with Dave Millard, founder of the Glasgow-based startup to find out more about the brand and their pioneering technology. What is Global Rugby Network? Global Rugby Network is an innovative sports team management solution designed to streamline the management structures of sports clubs. 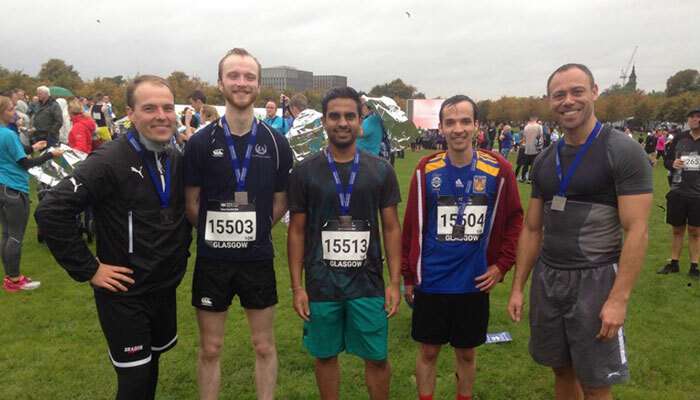 We do this by bringing together team management, instant communication, video analysis software and GPS trackers into one centralised online platform. By doing so, we reduce workload for coaches, improve team communication, give new insights into player performance and simplify the distribution of information within a club. 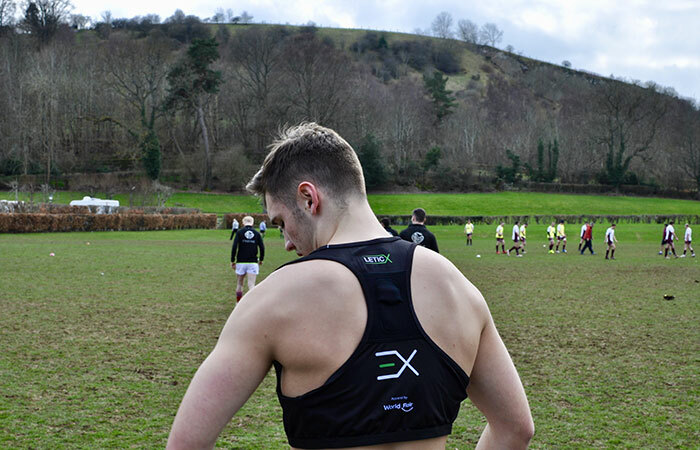 GRN currently focuses on rugby teams and governing bodies as we spread our solution into football and hockey with our all-sports brand, Leticx. How did the idea for the business come to fruition? GRN was about building a network for the rugby community providing systems which were only available to elite teams at that time. We saw an opportunity to provide an all-in-one solution to make it easier for coaches to manage and improve their performance without having to use multiple software and hardware systems. We were excited by the idea of putting performance data into context for our coaches and players, while also allowing sports associations to scout players across their country. We've taken this same ethos into our all-sports brand, Leticx. Tell us a little about your team of experts. 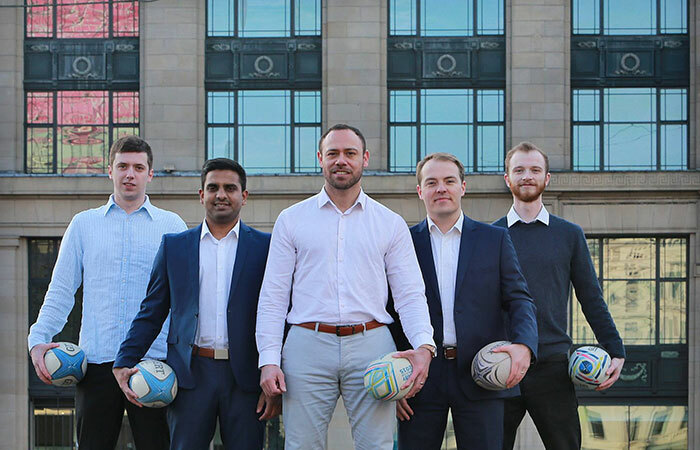 When we began putting together the GRN team, I had a strong understanding of sports and rugby having played through pro rugby as well as representing Scotland in sevens. Stefan and Cham then came in as the tech wizards having already built systems in the events management space, which gave us a strong understanding on how to nurture and build communities. The video analysis and GPS tracking systems have been led by Konstantin and Kostas, whose development skills really set the tone for our journey into elite sports. More recently Robbie, Callum and Oscar have come on board, funnelling their enthusiasm into marketing, app development and design while expanding our community globally. What support have you had in growing your business? I began the company on a shoe string out of my own pocket out of the desire to change rugby for the better. Over time, and with the backing of private investors and the support of the Scottish government, our ambitions and team grew to the point where we've now launched Leticx which will provide our all-in-one system for football, hockey and many other sports. What’s your vision behind growing the brand? Our vision as a team is to become the number one sports performance provider in the world, making our systems available throughout all levels to all sports communities. We've already begun working with the Rookie Rugby project in Texas which seeks to get young athletes engaged and enjoying their rugby, as well as developing player performance pathways in Uruguay and South America, and we're excited to continue innovating the world of sport. How have you harnessed innovative technologies in GRN? We are always striving to use cutting edge technologies during our product development, with the aim to provide the best possible user experience to our developers and customers. So to keep the finger on the pulse of tech innovation, we work closely with universities in Scotland, engage in internship programmes - through The Data Lab, for example - and actively contribute to the Scottish startup and technology community by attending meet-ups and giving presentations. This is especially important for our hardware development, machine learning and big data services. There are many great companies and organisations in Scotland that we are already working with, and we are constantly looking for new partnerships across the globe to provide better services and products in the future. Why is GRN a great place to work? We wanted to create a working environment that was built around the values of rugby and sport: Integrity, Passion, Solidarity, Discipline and Respect. As such, the office is a diverse and exciting environment where we have seven nationalities represented in the team, born in nine different countries. All ideas are accepted and contribution is encouraged, which allows us to make the most of any ideas we come up with and keeps the team innovative and forward thinking. A prime example is Leticx which was born from Cham in the development team and then taken on by the marketing team. We have our sights set on taking what we have learnt from rugby into all other sports with our all-sports brand, Leticx, starting with football and hockey. There is a real need for teams and players, especially at the amateur level, who want to progress far in their own journeys and we want to be a part of their story and success. The launch of Leticx coincides with the launch of our performance hardware which we're hugely excited about as it's the final piece to the all-in-one system we imagined at the start of our journey. If you'd like to find out more about Global Rugby Network, you can visit their website.